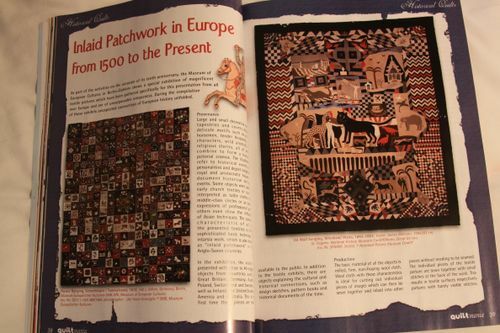 It has some very interesting articles and one in particular, Inlaid Patchwork in Europe from 1500 to present. 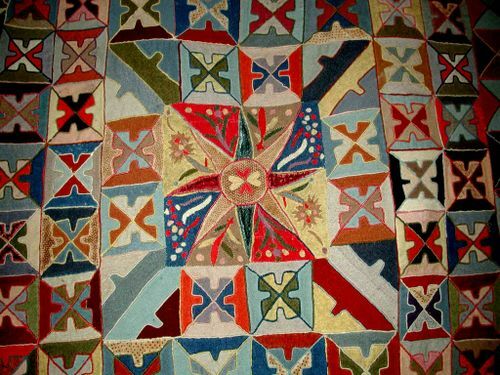 I've been studying the technique for many years, it's quite a difficult technique. 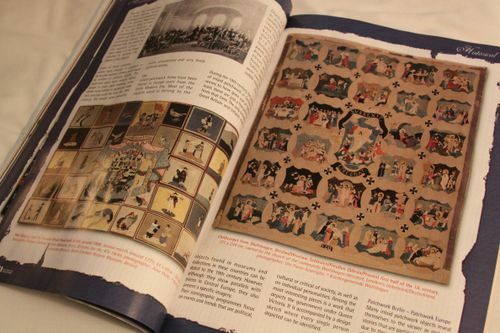 My quilt, 1776, Heartache, Heritage and Happiness, was re-created from an inlaid applique quilt made in 1776 in Prussia.